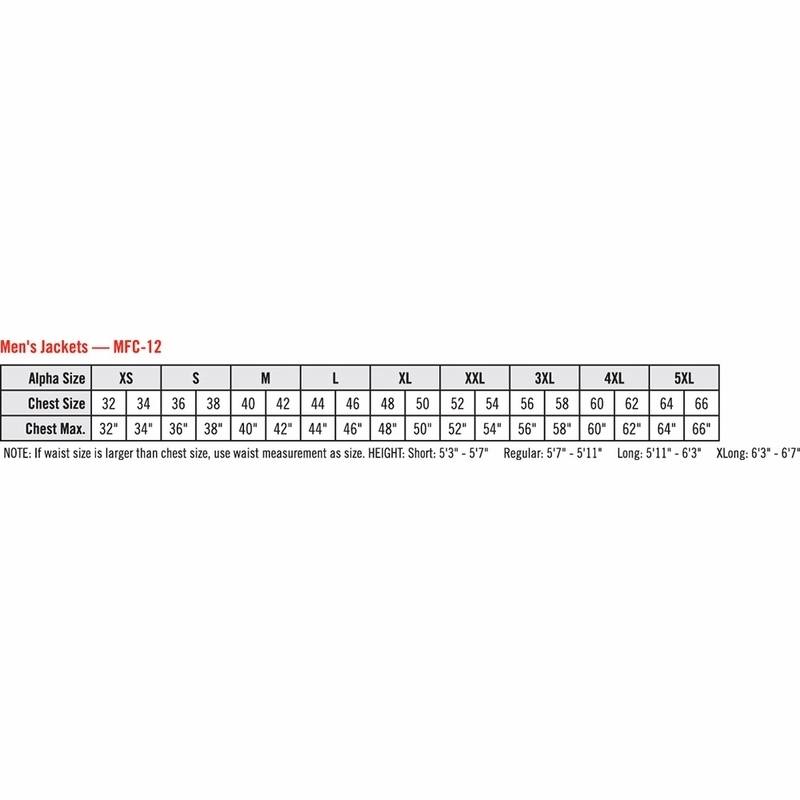 Fabric: EXCEL FR® Flame-resistant, 7 oz. (235 g/m²) 100% Cotton. 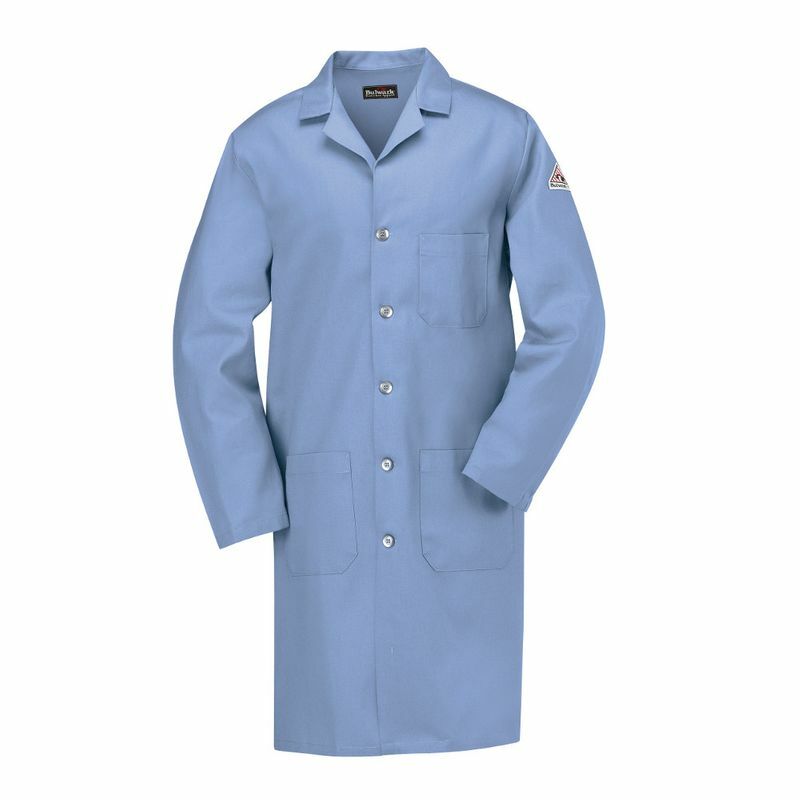 Features: Button-front closure, Lapel collar, hemmed sleeve ends and Side vent openings. 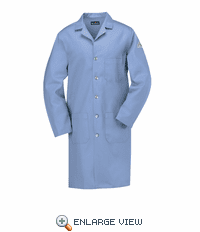 Care: Home wash or industrial wash.
Every effort is made to ensure that pictured fabric colors in our online store are as close as possible to the actual fabric color, this cannot be guaranteed. When exact color match is required, an actual color sample should be purchased. Pictures shown are as accurate as possible, but due to variations in viewer monitor settings (color, brightness, contrast setting), colors may vary from actual items. Country of Origin: Imported, Unless Otherwise Noted. Text Embroidery Basic, Company NameText Embroidery Basic, Company w/ Personal NamesText Embroidery Basic, Personal NameCustom Embroidery - First Time - New LogoCustom Embroidery - Re-OrdersEmbroidery SleeveUnited State Embroidered Flag - 3-3/8" x 2"United State Embroidered Flag (Reverse) - 3-3/8" x 2"
Enter your email address to receive monthly speical offers and discounts delievered right to your inbox!